By sincmurrMost Canadians have been taught little or nothing about the Indian Residential Schools. But they were probably taught something, one way or another, about the history of Canada and the role of Aboriginal peoples in that history. They were probably taught, for instance, that the history of North America began “in 1492, when Columbus sailed the ocean blue,” or when John Cabot and Jacques Cartier landed on a small piece of land in the East of Canada, and claimed the entire place all the away to the West for a foreign power. Aboriginal people as savage warriors; a danger lurking in the background of the settler story. Aboriginal people as uniquely spiritual; followers of mystical beliefs, naïve to the forces at play around them and victim to their lack of astuteness. Nation-building has been the main theme of Canada’s history curricula for a long time, and Aboriginal people, except for a few notable exceptions trotted out as if to prove the rule, have been portrayed as bystanders, if not obstacles, to the enterprise of nation-building.Comparing the textbooks' treatment of Natives and non-Natives:Dr. Ken Osborne is a (former) Professor of Education at the University of Manitoba. His specialty has been the teaching of history, and he is writing a book about the history of the teaching of history in Canada. He says:In both English language and French-language textbooks the First Nations were typically assigned the textbook equivalent of a reserve: a segregated first chapter of a quasi-ethnographic nature in which they appeared to live in a timeless past that was now outdated and best forgotten. Before the 1970s, textbooks overwhelmingly saw Canadian history as beginning with the arrival of Europeans in North America. With the arrival of Europeans, the First Nations made an occasional cameo appearance in the early history of New France, in the context of the fur trade, briefly in the War of 1812, and finally as an obstacle to European settlement of the West. Totally lost was any sense of Aboriginal culture as a successful adaptation to the physical environment and of Aboriginal life as self-sustaining and self-sufficient in its own terms.Dr. Osborne goes on to mention that even when comment was made about the presence of Aboriginal People, it was not always done in a positive light:Europeans had religion; Aboriginal peoples had superstitions and ‘strange ideas about the things around them.’ Europeans held ceremonies; Aboriginal people indulged in orgies. Europeans had technology; Aboriginal peoples used crude inventions. Europeans had doctors; Aboriginal peoples had medicine men who worked their cures, ‘by beating drums, dancing and howling.’And why this matters:The way Aboriginal peoples were represented in textbooks prior to the 1970s is important for two reasons. My education lacked such relevance for me, and this was so despite my success at it. I was a very good student, but my success came at a price. The education that I and others received taught us that my people were irrelevant. By implication it caused me to feel that I was too. It taught us to believe in the inferiority of Aboriginal people and in the inherent superiority of white European civilization, and in order to get the grades that I did, I was compelled to repeat that mantra. The educational system of my day did not teach us to respect Aboriginal people because it never told us anything about the Aboriginal presence in this country that showed the humanity of the people. We were treated as no more significant to the evolution of this country than the rocks and rivers and trees and wildlife. We were all educated to be the same, and if we, as Aboriginal students, rebelled, we were weeded out, or we weeded ourselves out. Of the dozens of Aboriginal students I started grade school with, few graduated from high school, even though they were equal or superior in intelligence to many of my fellow grads. Even my brother and sister did not graduate from high school, and there are members of my family who will happily tell you they were, and are, smarter than me. But though I, and other Aboriginal students, succeeded in that system, it was not without cost to our own humanity.Comment: Apparently Canadian textbooks handled Native history about the same American textbooks handled it. Since this essay is primarily about textbooks before 1970, I presume they've changed for the better. But the final point--being taught Natives were irrelevant--applies to more than just textbooks. 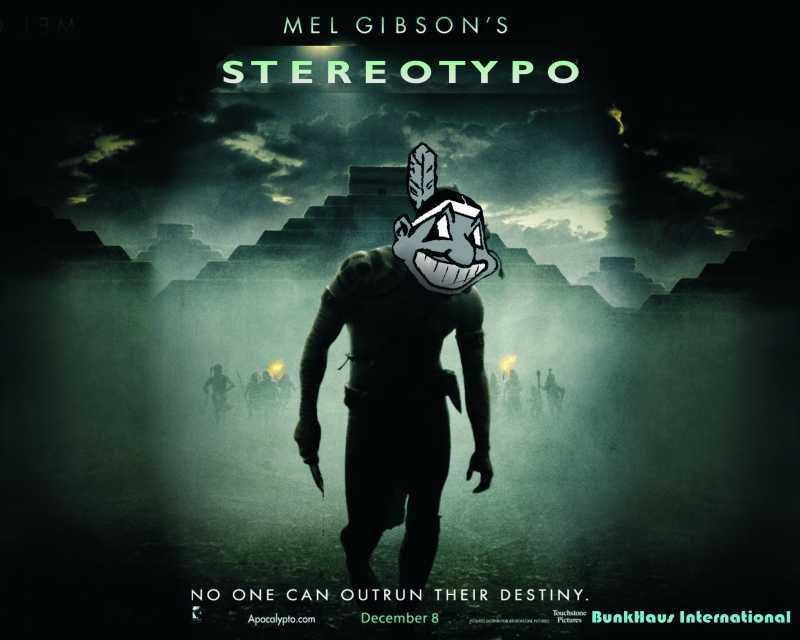 We're still instilling that belief throughout our culture: via Indian mascots, hipsters in headdresses, phony movie portrayals, Maya apocalypse jokes, and much more. Every false or stereotypical depiction of Indians contributes to the overwhelming impression that they're savages--i.e., primitive people of the past who no longer exist. For more on the subject, see Columbus Day Celebrates Conquest and "6 Ridiculous Lies" About Indians.